Whitney Houston is receiving the Millenium Award at tonight’s 2012 Billboard awards. Now the problem is someone has to accept the award and give a speach and Whitney’s daughter, Bobbi Kristina Brown understandably wants to do it. Seems reasonable, but wait a second, Whitney’s sister-in-law, Pat Houston wants to accept the award too. Here lies the problem. TMZ has the low-down: Pat is trying to force herself into the spotlight by accepting Whitney’s Millenium Award at the ceremony in Las Vegas tonight … and producers of the show are pissed. 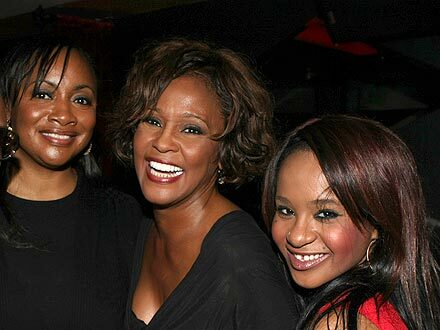 We’re told the show really wants Bobbi Kristina to accept the award and make the speech on the late singer’s behalf … but Pat won’t stand for it and is making life hell for them as she tries to worm her way into the segment. Pat Houston has a reality show about to start so clearly she is trying to grab some publicity and get herself in the spotlight. Whitney’s daughter is of course the person that should accept the award for her. Where do you stand on the issue? Hit the comments and let us know!